Wondering where to find the best sports bars near you? Hoodline crunched the numbers to find the top spots in Costa Mesa, using both Yelp data and our own secret sauce to produce a ranked list of where to venture next time you're on the hunt. Topping the list is The Hub Kitchen and Taps. Located at 1749 Newport Blvd., the joint is the highest rated sports bar in Costa Mesa, boasting four stars out of 362 reviews on Yelp. "Built on embracing the classic American craft of food and spirit," per its website, look for traditional American dishes with a modern twist, along with an extensive craft beer lineup and specialty cocktail offerings. Next up is Tavern + Bowl, situated at 1875 Newport Blvd., Suite L1-11. With four stars out of 353 reviews on Yelp, the sports bar and bowling spot has proven to be a local favorite. 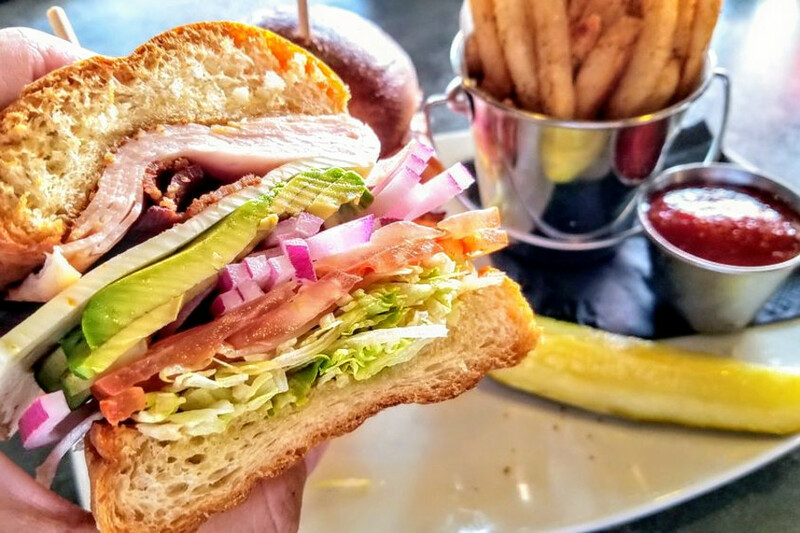 With an additional outpost in San Diego, the SoCal joint offers a made-from-scratch kitchen menu, an extensive beer selection, happy hour and the hottest sports events with an array of televisions to spare. "Great spot to come with a group on the weekend!" 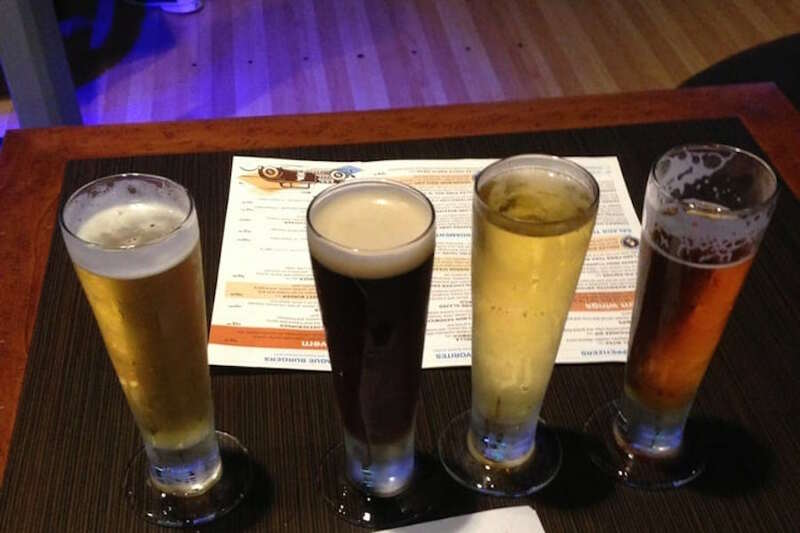 shared Yelper Zareena S. "Huge space filled with TVs playing sports, a pool table, huge bar and bowling lanes." 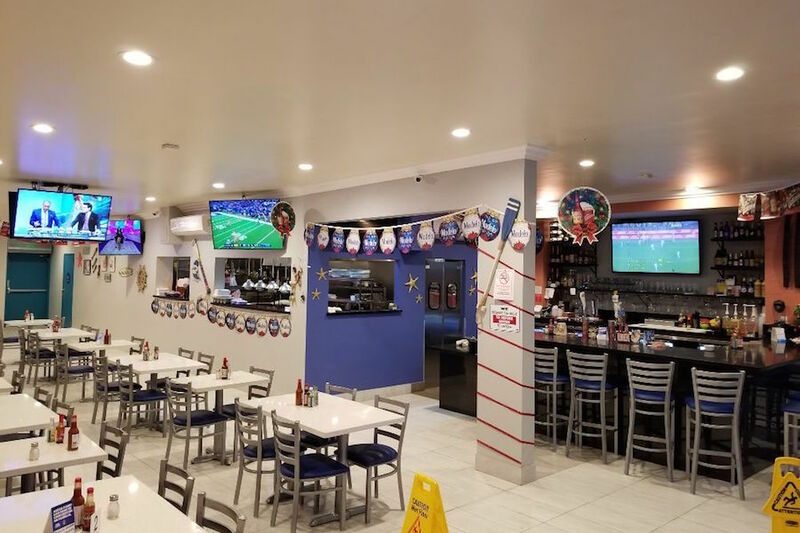 Mariscos El Pulpo Sports Bar & Grill, located at 1880 Monrovia Ave., Unit C, is another top choice, with Yelpers giving the sports bar and casual Mexican spot 4.5 stars out of 45 reviews. On the menu, expect to find draft beers and specialty cocktails, along with Mexican comfort food offerings like nachos, burritos, ceviche tostadas, chile rellenos, fresh fish fillets and more. "Delicioso! This place seems to be a hidden gem," wrote Yelper Alicia D. "Everything was fantastic from the service, micheladas, ceviche and molcajete. The food was so fresh that they make the ceviche tostadas to order." 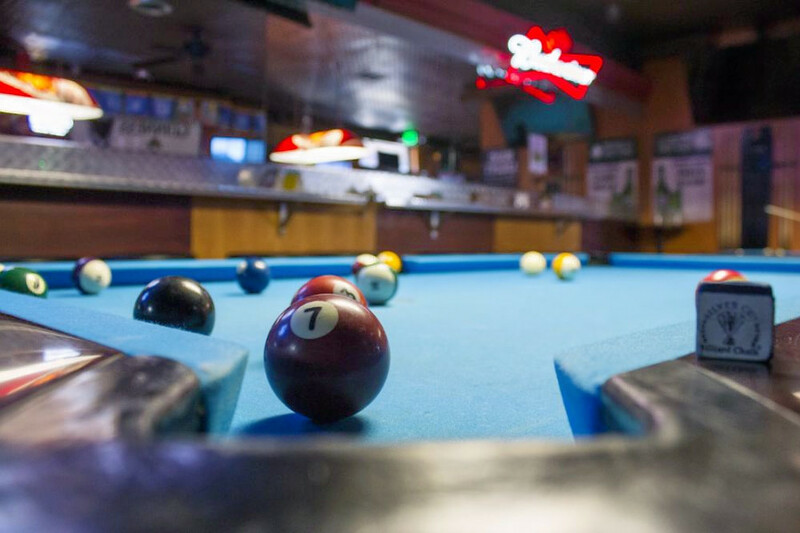 Turner's Pub 33, a sports bar and pool hall, is another go-to, with four stars out of 106 Yelp reviews. Having served the Orange County beach communities for over 50 years, this neighborhood spot is a local favorite for catching the next Anaheim Ducks game, or watching your favorite football and baseball teams. 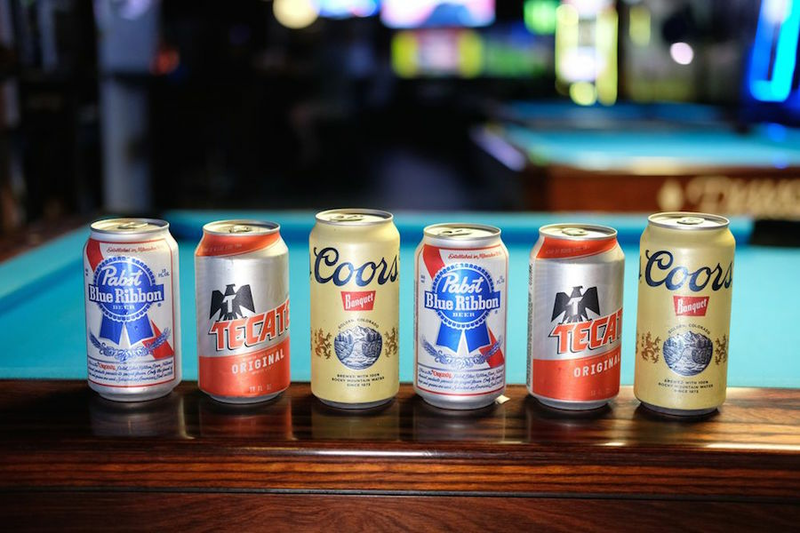 Expect to find 17 ultra-HD TVs, top shelf liquor, daily dining specials, Taco Tuesdays, Happy Hour, billiard tables and an extensive selection of craft, imported and domestic beers on tap. Interested? Head on over to 1562 Newport Blvd. to see for yourself.